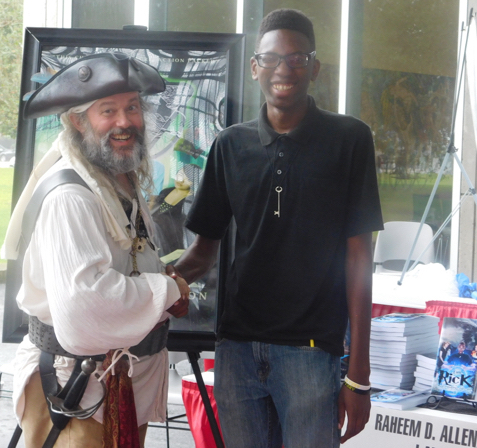 Ol’ Chumbucket with Raheem E. Allen at the Louisiana Book Festival in Baton Rouge, Oct. 31. Before I move on from Saturday’s rainy Louisiana Book Festival, I wanted to mention someone I met there, whose kind of inspiring. Raheem D. Allen is a young man, an 18-year-old freshman at LSU, who began writing novels since he was 13 years old. He has written and self-published a trilogy, “I Am Rick,” three stories about a teen who discovers he has super powers, though he’s only just learning how to use them. With the help of his friends, he has to overcome the plots of an evil madman and save the world. Truth is, I have no idea if the books are any good. I toyed with buying one, but I’m trying to be very strict – I go to these things to sell, not to buy. If you come home with more books than you went with, you’re doing something wrong. It’s a business. But I enjoyed talking with the kid. (Is “kid” the wrong word? I’m not being dismissive. At my age, “kid” refers to almost everyone I meet.) He’s very serious about his books. He writes a new story every summer, then spends several months editing and polishing before pubbing through Amazon’s CreateSpace. He is confident. His table was stacked with books, a couple of hundred anyway, I’d guess. He had a whole spiel down, and it was difficult deflecting him from what he planned to say. He had a story to tell, and he was going to tell it. You have to admire that kind of confidence. He also had a strong support system. His father was there, manning the table, taking care of business. You had to love seeing that. I don’t know if he’s pursuing a literary life, never got the chance to ask what he’s studying now that he’s in college. But it was all there – The confidence, the support, the single minded dedication to the craft and to making it pay. I enjoyed meeting him and wish him well. It’s all the sweeter if you know who Cindy is. 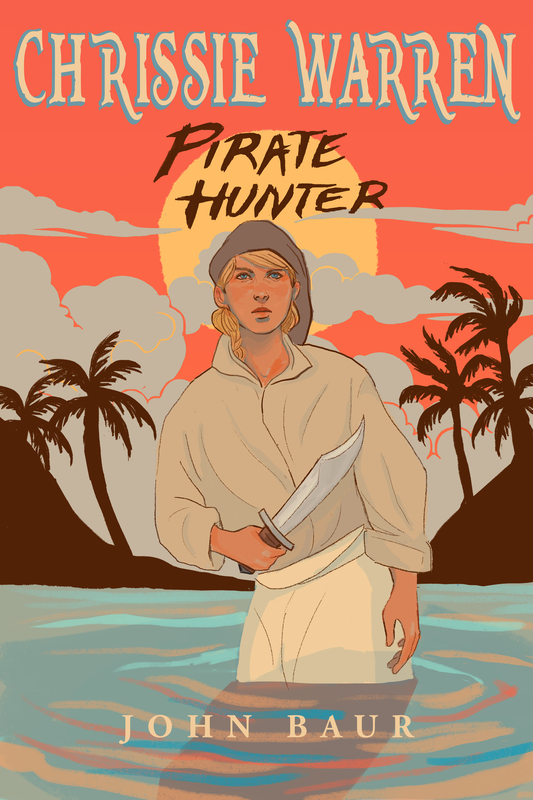 In the pirate community she’s known as Willoughby Caught, and she’s one of the organizers of the Blackbeard Festival in Hampton, Virginia. It’s one of the biggest pirate festivals in the country and they’ve invited me to take part next June. So she’s a good person to have in my corner.